It’s Lunch Time! 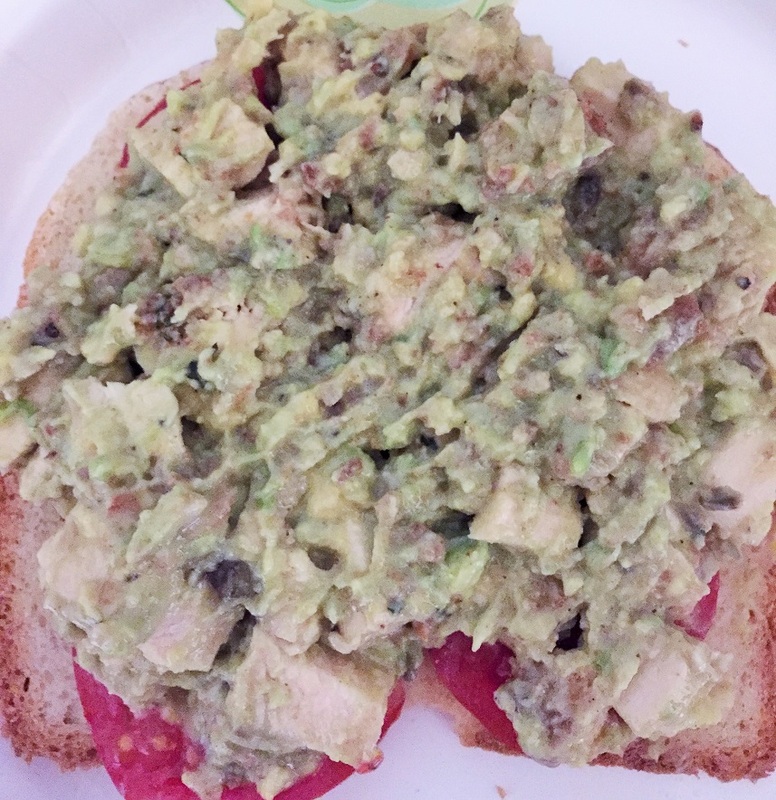 How About a Nice Chicken-Avocado Salad Sandwich? I love to have a sandwich for lunch (or for dinner for that matter) and very often, if I have some leftover chicken, I will make some chicken salad to have on a sandwich. I guess I have always tried it the traditional way with some mayonnaise, a little bit of celery and some salt and pepper and that’s about it. For me that is all I really need. When I had some leftover boneless chicken breasts I had made for dinner recently I really wanted some chicken salad but I wanted to mix things up a little bit and try something different and maybe even a touch healthier. This recipe was in the last issue of Cook’s Country and is for chicken-avocado salad sandwiches, where the avocado and a simple vinaigrette combine together to take the place of the mayonnaise to make a nice alternative for you. Combine the buttermilk, lime juice, olive oil, sugar, 1/2 teaspoon of salt and 1/2 teaspoon of pepper together in a medium bowl and mix until the ingredients are blended. Add the avocado and mash the avocado into the dressing with a fork. Stir in the chicken until it is fully combined into the avocado mixture. Season the chicken with salt and pepper to taste. Place a heaping 1/2 cup of the chicken salad on each of 4 bread slices. Divide and arrange the lettuce leaves and the tomatoes over the chicken salad, then top the sandwiches with the remaining bread slices and serve. I have to say I was very pleasantly surprised by the flavor and texture of the chicken salad using these ingredients. I didn’t miss the mayonnaise at all in the mixture and I really liked the mix of the avocado, lime juice and buttermilk as it all seemed to come together very nicely. I used some spinach leaves and tomatoes to finish off the sandwich, but you could really add just about anything you want to this one to make it special – Romaine lettuce, Bibb lettuce, sliced red onion, pickles, some slices of bacon or anything else that you like to have with your chicken salad. I had mine on some homemade white bread and it was perfect, though I wish I had some homemade rye on hand because I think it would have been even better! All in all I think this is a great alternative when you want to have some chicken salad without the use of mayonnaise. I’ll definitely be making this one again next time I have some leftover chicken around. That’s all I have for today. Check back next time for another recipe. Work has been keeping me pretty occupied so I haven’t had as much time as I would like to get on here, but I do have lots of other recipes to share and some new things to try, so keep checking back to see what comes along. Until then, enjoy the rest of your day and enjoy your meal!